The famous and reliable source of tech news, Evan Blass known as Evleaks, this week caused a big fuzz, not only in the tech world, but also overall. Even though we were first to report about the return of 3310, info which was discovered by Vtechgraphy, Eveleas’ post on Venture Beat was cited on almost every website on the planet – from specialised tech sites to mainstream media. Evan said that HMD is expected to launch a modern version of Nokia 3310, together with Android smartphones named Nokia 3, 5, and 6. 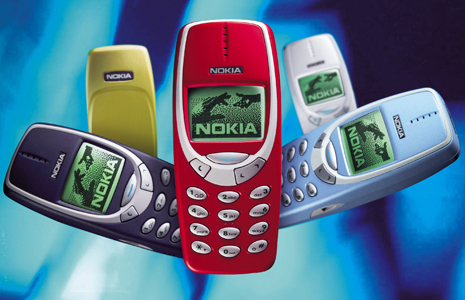 It is well known that many legends have been written about the 3310, and its durability, reliability, and toughness. 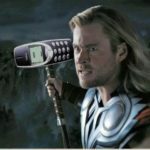 For example, Thor’s hammer Mjolnir is explained as a disguised 3310; Frodo Baggins’ vest Mithril was made from Nokia 3310s, etc. A lot of pop-culture and real-life events were explained using the 3310. A cult of personality was created for 3310, and the rumors say the legend could make a comeback. It is hard to predict if the return of Nokia 3310 will be a success, but we can agree that the rumor of the return already has a positive effect. 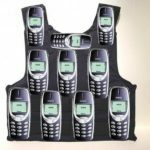 During the last week, a global spontaneous marketing campaign for Nokia, HMD, and the 3310 was taking place. In the last 7 days, Google Trends show that “Nokia 3310” was more searched than Playstation 4, Xbox One (at some moments), LG G6, Samsung Galaxy S8 or the rumored iPhone 8. 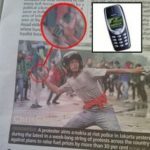 If HMD successfully executes the return of the 3310, Nokia and HMD will have a huge free promotion of the device across the globe – from small local news, to media corporations like CNN, RT or Al-Jazeera. The worth of such promotion surely surpasses HMD’s half a billion euro 3-year marketing budget, and will have a positive effect on the Nokia brand; and will give a head start to HMD and the smartphones HMD will launch alongside 3310. Apart from the huge marketing benefit, 3310 could turn the negative trend of declining feature phone sales happening since 2007. Also a positive financial effect is expected for HMD, because the phone is rumored to cost 59€. 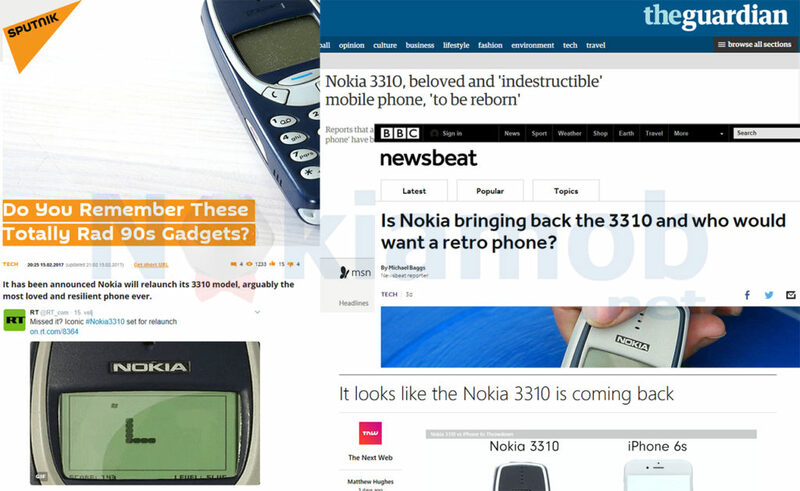 In short, if the information about 3310’s comeback is true, it’s primarily a marketing move to put HMD Global and the Nokia brand at least for a moment, in the center of the world. Moreover, this will raise awareness for other Nokia-branded devices from HMD, and will help promote Nokia’s own devices like OZO, Health/fitness equipment from Withings etc. Launching a flagship alongside 3310 would be wise too, because of the huge interest, but maybe HMD thinks the rumored Nokia 8 will be good enough on its own to catch the interest of the world. Some information about Nokia 8 that cannot be verified had been leaked, but a flagship Nokia-branded device is not expected to appear at MWC. You can post your thoughts about the resurrection of 3310 in the comments down below.